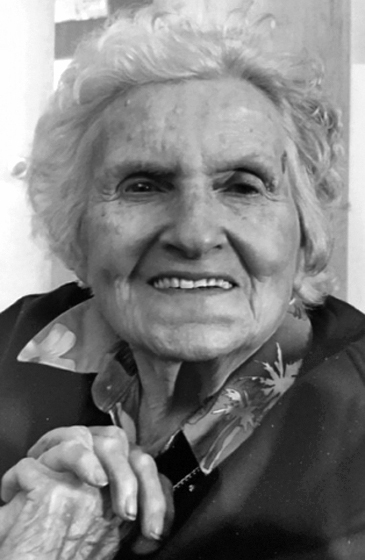 MARQUETTE, MI – Mildred Jackson Krieg Bird, age 99, of Marquette, entered eternal life Saturday, March 16, 2019 at the D.J. Jacobetti Home for Veterans with her family at her side. Born February 26, 1920, in Manistique, a daughter of William M. and Almeda B. (Bouvran) Jackson, Mildred was raised in Melstrand until the age of seven when the family moved to Marquette. She attended and graduated from Graveraet High School. In 1937, Mildred was united in marriage to Robert T. Krieg, and she settled into her roles of wife, mother, and homemaker. She especially enjoyed time spent caring for her family, camping, walking, hiking and gardening. Robert preceded her in death in 1973, and she later married John W. Bird in 1980. As the years went by, grandchildren and great-grandchildren were added to the family and there was more time for the pursuits of traveling and reading. A loving wife, mother, and grandparent, Mildred is leaving behind her children, Sharon (Milton) Koepp, Nancy (Neil) Carlson, and Robert E. (Judy) Krieg all of Marquette; her grandchildren, David, Danny (Laurie), and Doug (Debra) Bailey, Neil Bradley (Linda) Carlson, Vicky Krieg, and Robert (Ann) Krieg; 12 great-grandchildren; several nieces and nephews. In addition to her parents and husband, Robert Krieg and John Bird, Mildred was preceded in death by granddaughters, Amy Carlson Hendrickson and Marsha Elaine Bailey; three sisters, Dorothy Hagerman, Helen Connor, and Joyce Zolton; and her brother, William Jackson. Graveside services will be held in the spring at the Northland Chapel Gardens and will be announced.